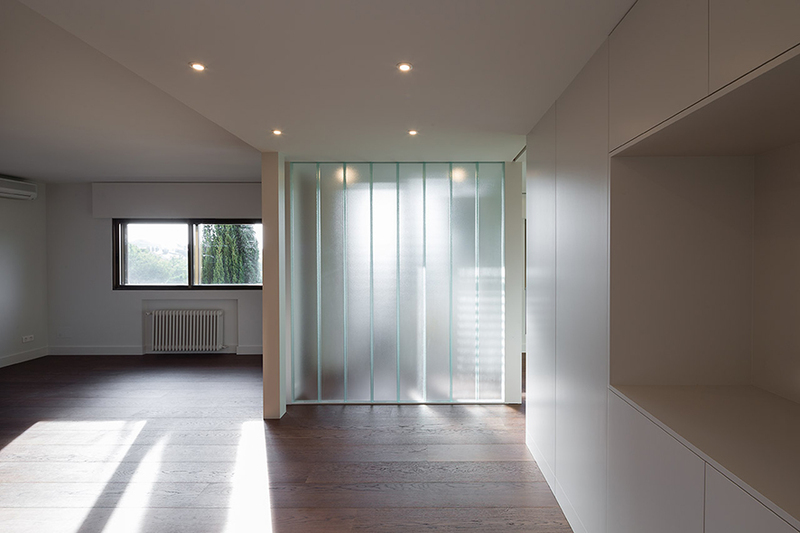 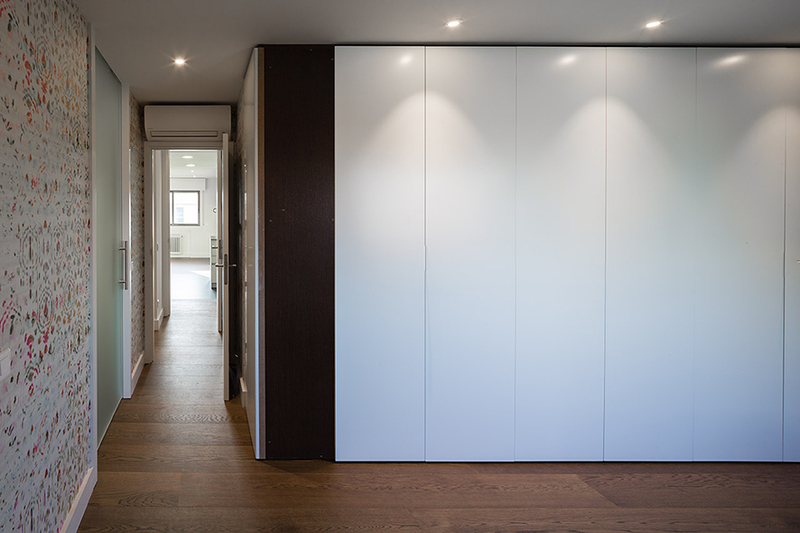 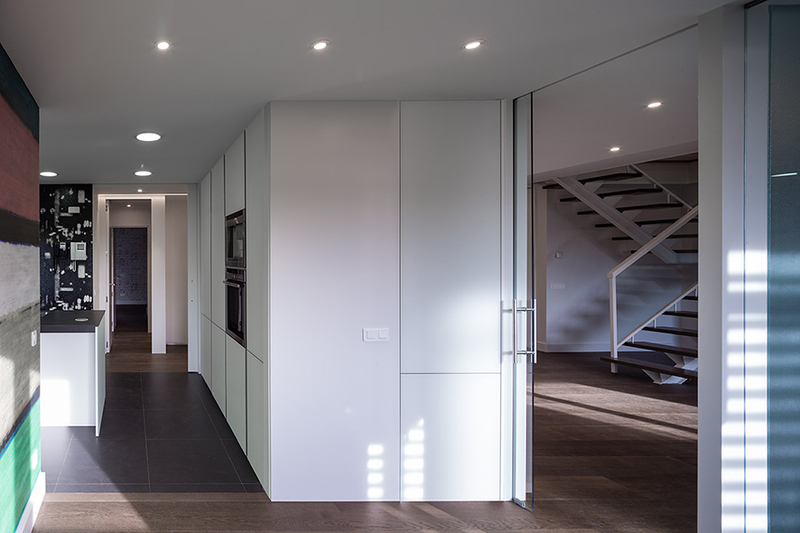 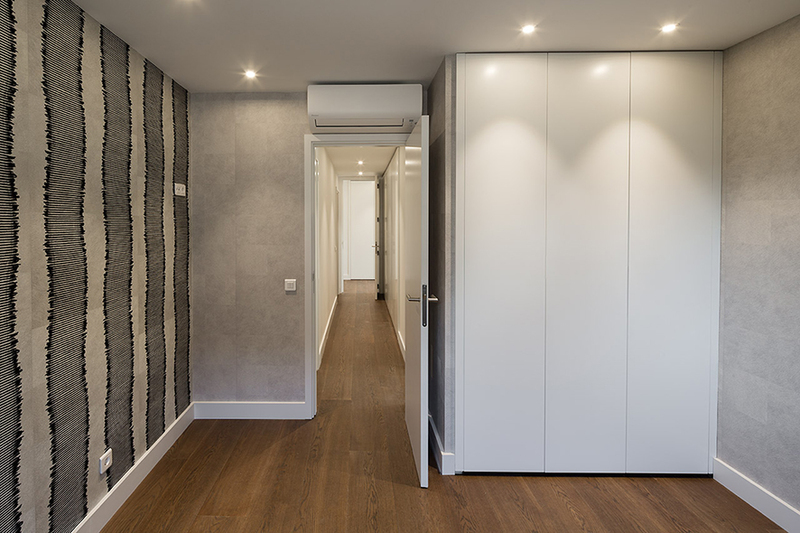 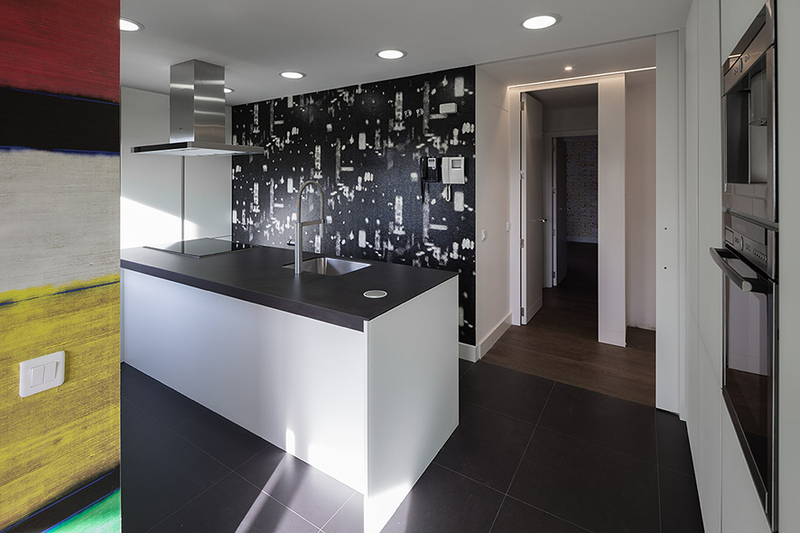 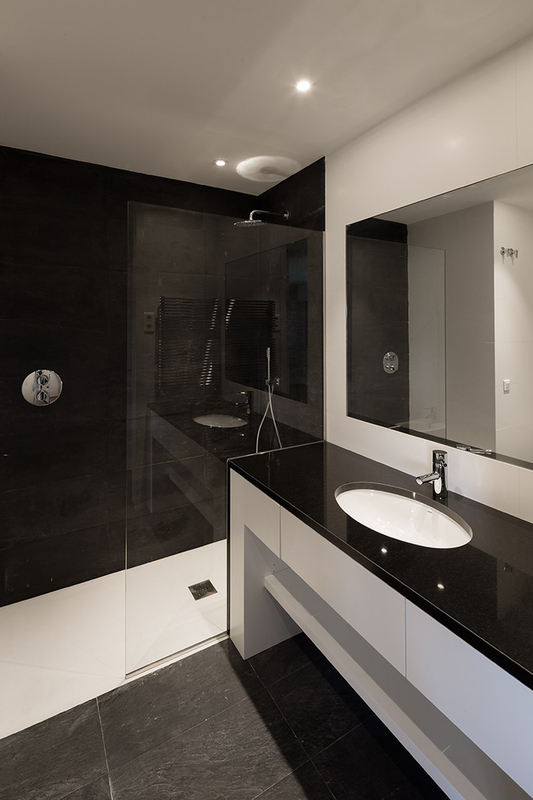 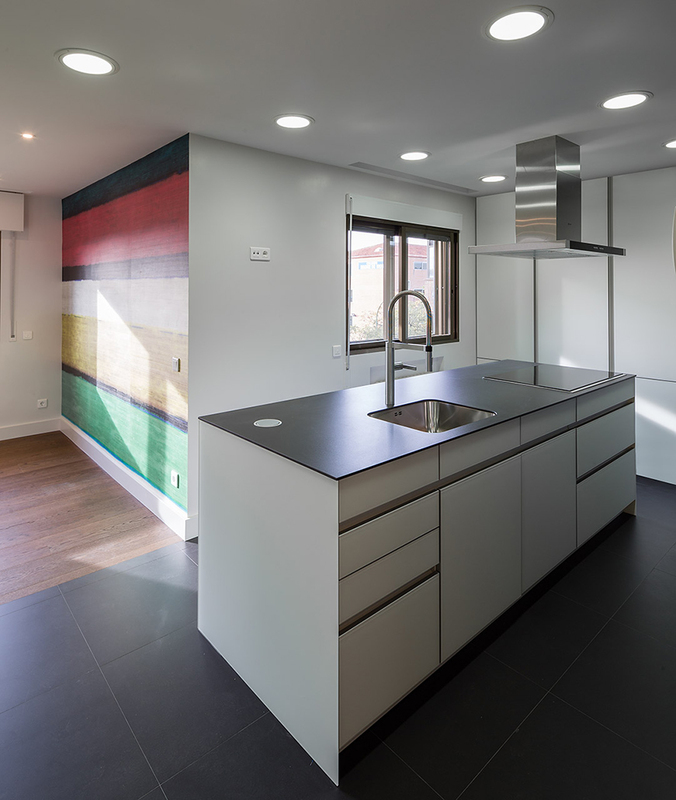 The project consists of the renovation of the ground floor of a duplex in the neighbourhood of Arturo Soria in Madrid. 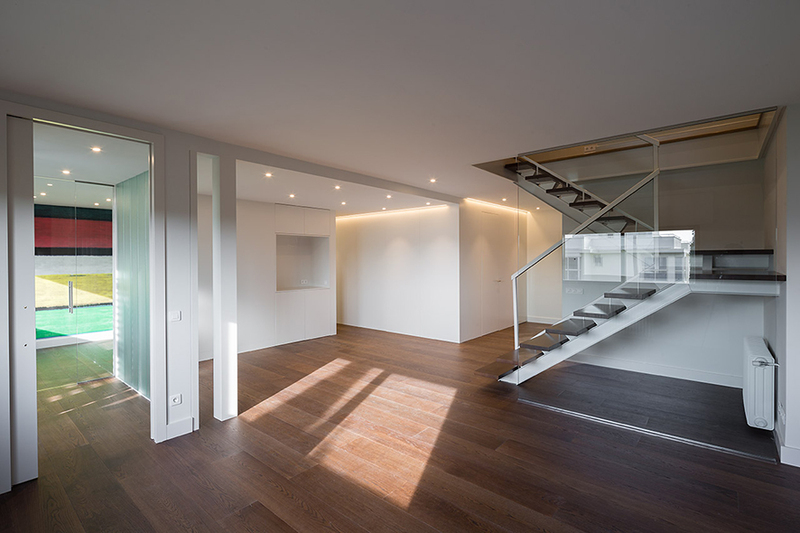 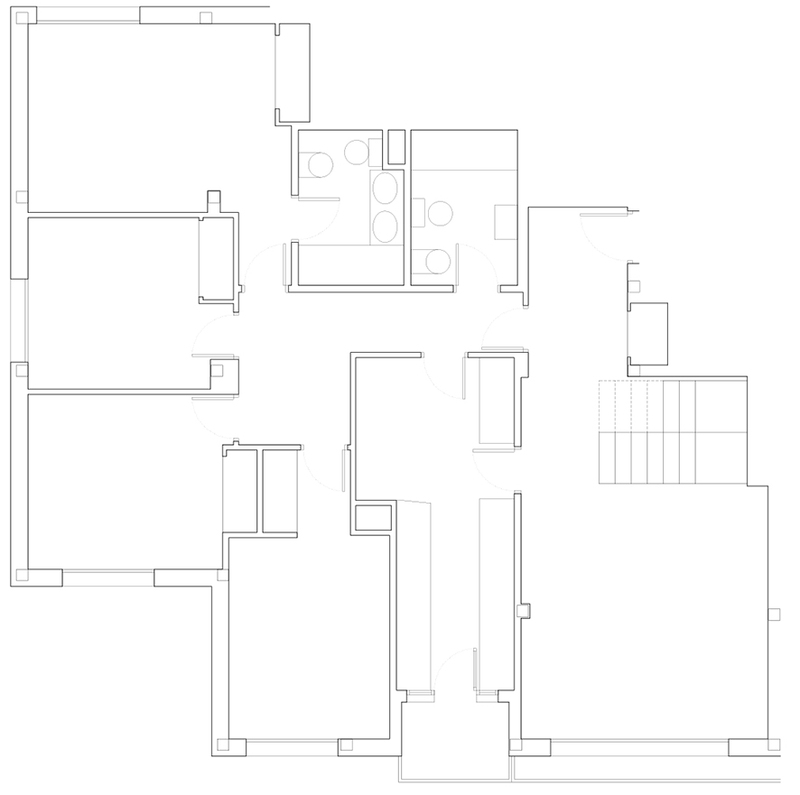 The existing apartment does not respond to the new property needs, with intricate spaces that do not maximize the potential surface and available orientations. 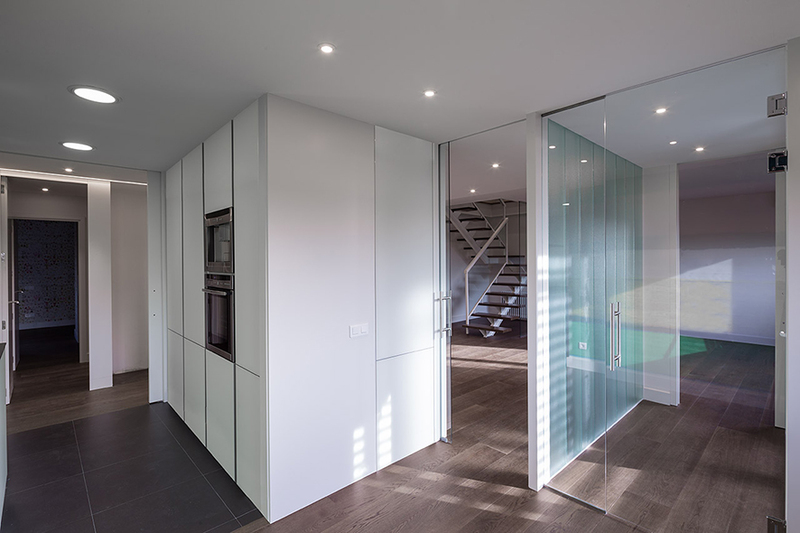 The project opens the ground floor as much as it is possible in order to recover the maximum visual dimension and create a global spatial perception. 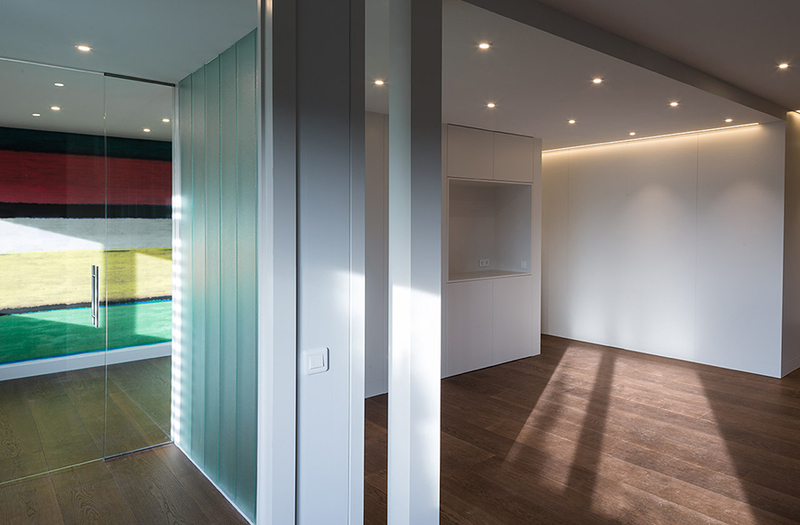 Through a response based on unity, long diagonal perspectives are created to generate a continuous space, without interruptions, circulations are clarified and natural light is recovered for the central part of ​​the apartment. 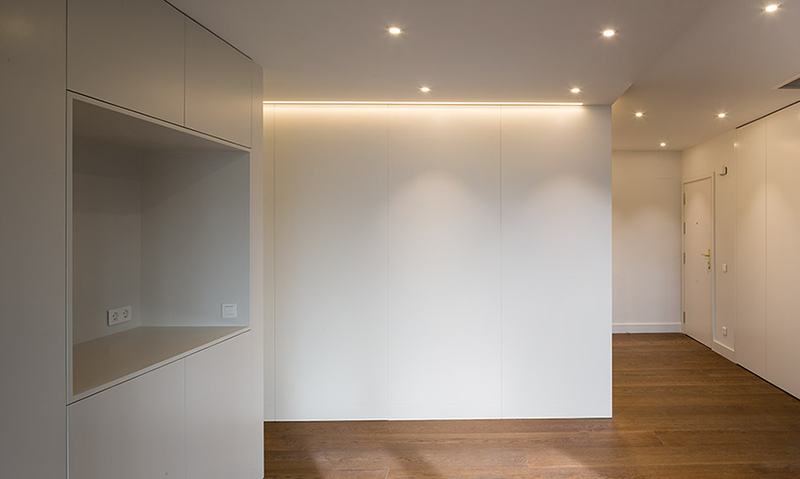 Two exempt pieces of furniture act as dividing and space qualification elements, containing a part of the required program. 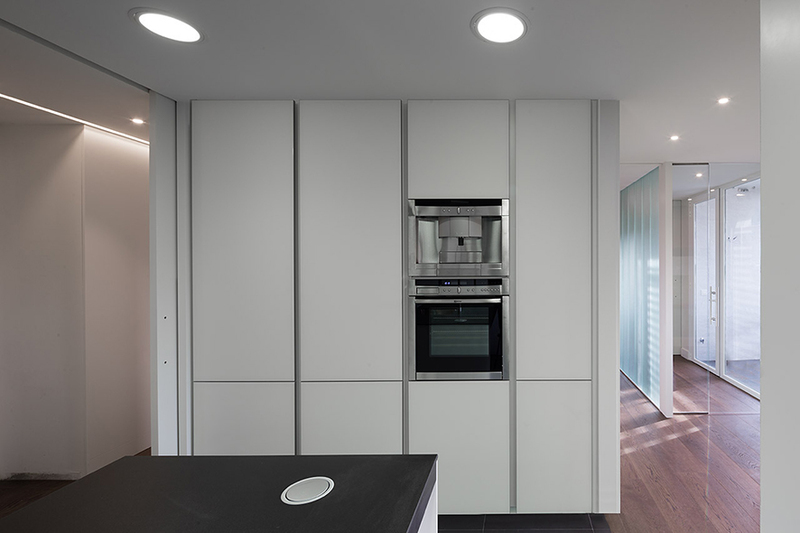 Both cores serve different areas by an analogous treatment, multiplying the possibilities of use and circulation, and arranging the apartment into spaces with simple geometry and immediate perception. 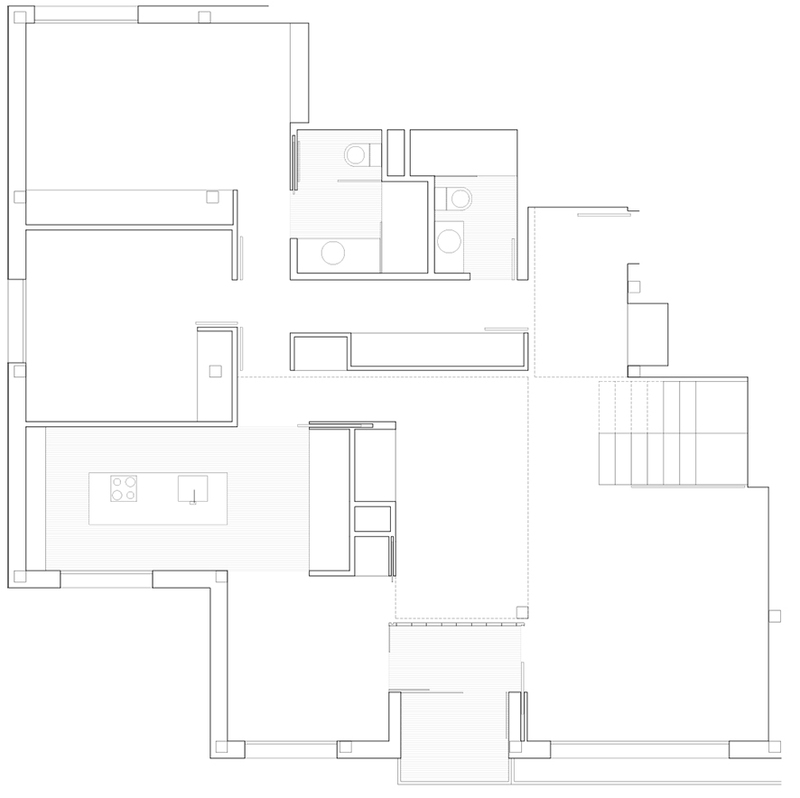 This qualification of living space is also responsible for public-private gradient, as well as the generation of in-between spaces as privacy filters of transition between fields. 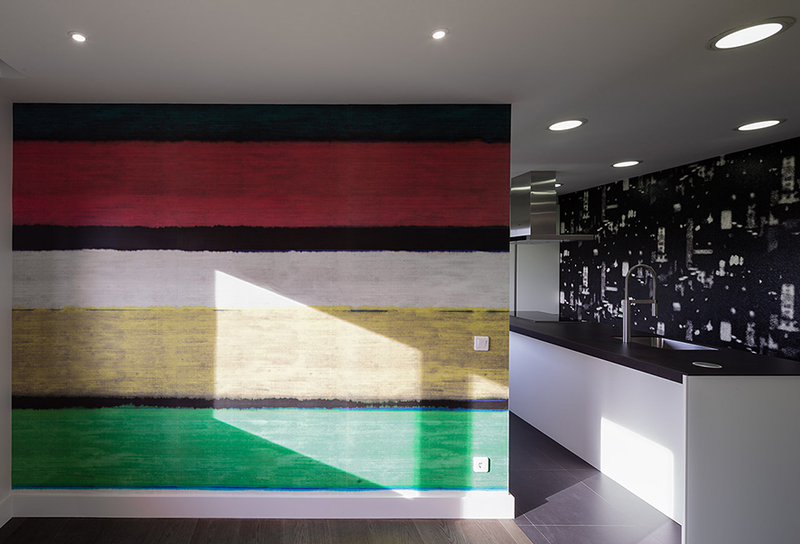 The proposed spatial abstraction involves simplification in the materials, pursuing a deliberate neutrality interrupted only by the occasional use of colour.